Photocopy, 8 ½” x 14″. Announcement for simultaneous exhibitions at A’s and No Se No, June 1984. 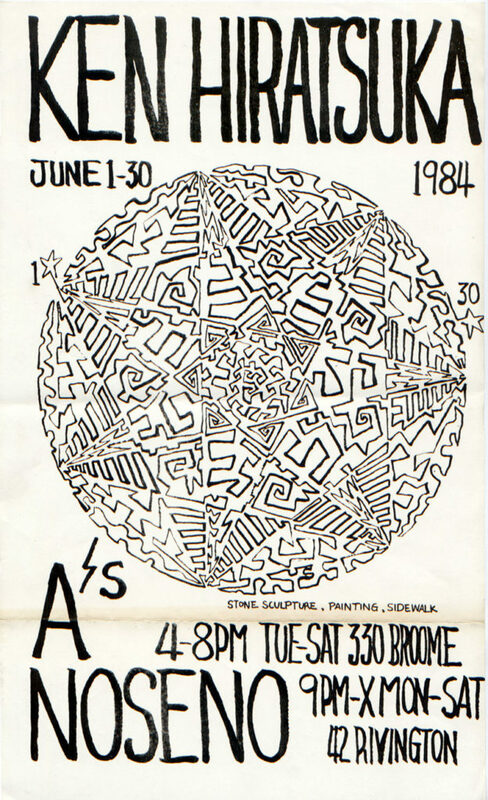 Arleen Schloss started the art and performance space A’s at 330 Broome Street in 1979. A’s was a major inspiration when Ray Kelly (Schloss’s ex-husband) founded No Se No four years later. The two spaces hosted many of the same artists.